Warner Home Video is announcing that 300 has become the fastest and highest selling high definition DVD to hit the market thus far. Since July 31st, 2007, 300 has moved more than 250,000 copies of both the HD DVD and the Blu-ray disc. 300 was also added to some cable HD On Demand lineups on the same day. 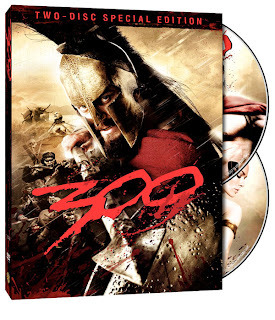 "'300' is an amazing film, and the high definition sales we are seeing underscores the positive business benefits of supporting both HD DVD and Blu-ray," said Ron Sanders, President of Warner Home Video. "This phenomenal response to '300' is the latest proof that our approach makes the most sense in today's market and has enabled Warner Home Video to continue to lead the market in high definition sales." In some Time Warner markets, including Columbus, Ohio, 300 was added to the On Demand lineup on July 31, the same day it was released on standard and High-Definition disc (Blu-ray and HD DVD). Comcast, the nation's largest cable operator, plans to add 300 to its HD On Demand menu on August 14, just two weeks after the DVD release. In the past, home viewers would have to wait at least 30 days before seeing a new video release on cable or satellite VOD. But Warner Bros. has been testing 'same day' releases in select markets across the country. The decision to release movies in the 'same day' format is another challenge to video retailers who are increasingly concerned about new video distribution methods. Without the traditional "window" between the DVD release and the VOD premiere, there is less reason for the average viewer to rent the film from a video store. In the past, Warner has tested the same day approach with lesser titles such as The Astronaut Farmer. But 300, which made $70 million during its opening weekend release, is far and away the biggest box office hit to get the same day treatment. The film recounts the ancient clash between 300 Spartans and the Persian Army. The Simpsons Movie easily led the international box office this weekend, adding $47.3 million from 6,627 theaters in 75 markets to bring the animated-comedy's worldwide take to $315.5 million in 12 days. 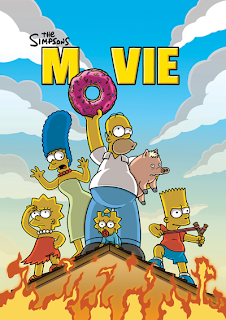 The Simpsons Movie has earned $187 million overseas to date. This film is a must see, very funny & well worth the wait. 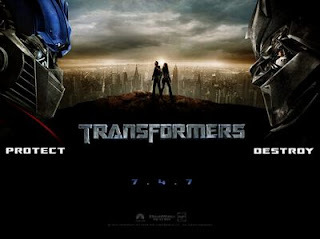 Transformers remained a solid overseas player with $30 million at 6,118 in 53 markets. The movie's foreign total has hit $296 million, nearly matching the domestic total. Transformers, which has exceeded Paramount's expectations offshore, should become the 48th pic to hit the $300 million international mark in a few days. It will be the fifth summer tentpole -- but first non-sequel -- to cross that milestone this summer after Spider-Man 3, "At World's End," "Order of the Phoenix," and Shrek the Third. How does Samuel L. Jackson feel about his upcoming appearances in Iron Man & The Spirit? 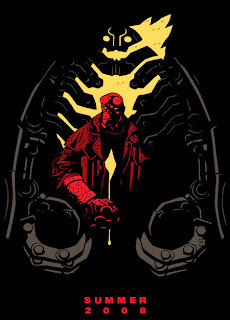 You can find out here. Trekkies are in luck - Paramount announced at the San Diego Comicon a new Star Trek film directed and produced by J.J. Abrams, with Zachary Quinto (Heroes) confirmed as a young Spock. Leonard Nimoy will also play Spock... let the speculation begin!